JEP AND DEP IN NME!!!!!! 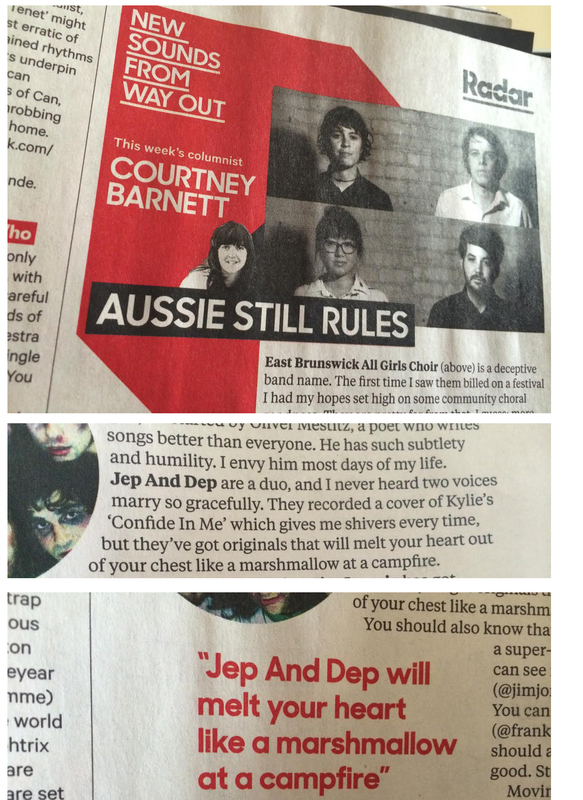 WHOAH Jep and Dep in NME Magazine RADAR!!! Thanks so much for Courtney Barnett for the shout out! “Jep and Dep will melt your heart like a marshmallow at a campfire”. Thanks to Sean in Manchester for the jpgs! Also Fantastic Live review in the MUSIC.COM.AU today by Chris Familton of the show supporting the wonderful Tracey McNeil. Jep and Dep have an album on the way and based on their strong set it’s going to be a special thing. 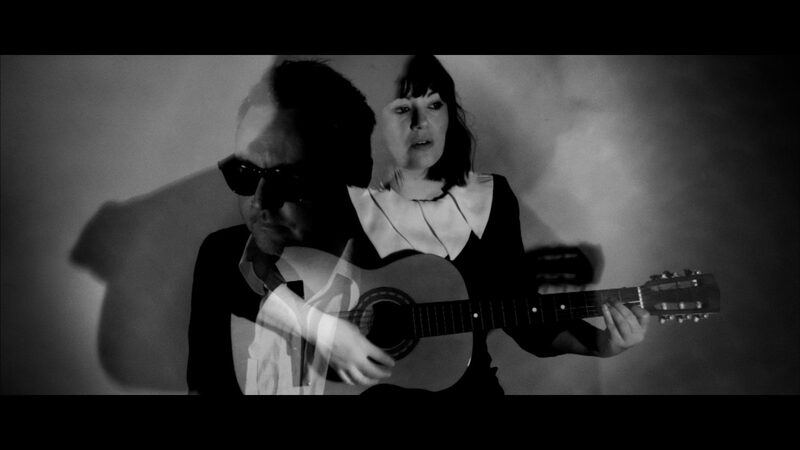 They’re a dark, folk-noir Johnny and June with a sound that might cast them serenading in a saloon in a David Lynch-directed spaghetti western. From recent single Babe Come Down to the melancholic drama of You Can’t Hide Your Tears In The Rain, they dialled up a rich sound from just two voices, one guitar and some finger snaps. Between songs, Dep (Darren Cross) offered up some obtusely-angled humour, a nice counterbalance to their songs’ heartache and drama.